Successfully Added Handsfree Bluetooth Headset - Left + Right Ear Use to your Shopping Cart. 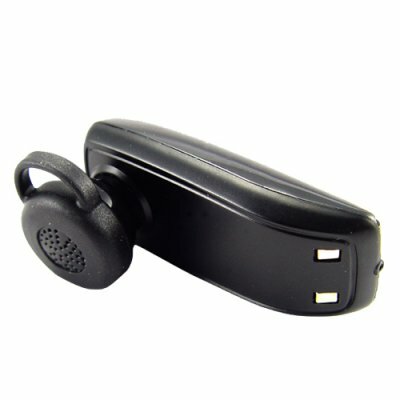 Bluetooth enabled headset made to pair with any mobile phone using V 2.0 or under, and for use with either the left or the right ear. You will easily be making phone calls without removing your mobile phone from your pocket after you pair it with this Made in China Bluetooth Headset. The removable and adjustable ear hook will let you switch from one ear to the other in seconds for a comfortable fit, and handsfree voice dialing along with call accept and reject as well as redial will make answering you calls even in your car a breeze. Small and lightweight, this inexpensive Bluetooth Device is a must have for people on the go who need to always be ready to answer the phone. e um otimo produto muito bm valeu o presso que paga. this item works really good handy light weight and connected really easy to my 6110 nokia navigator. clear sound and the recieving end quality is really good and sounds great. great product from chinavasion. thanks alot.